Arrow was quite a blast. The hype was really for real! I really liked everything. It’s as if I am watching a movie or something. I like series like that. I also like the fact that all things were explained and there are superhero action right away. I kind of doubted this show at first because not all superhero TV series were successful. But when I saw the first few minutes, I was impressed. I’ll surely watch the next episodes! Beauty and the Beast was also good. It had the right amount of fantasy and at the same time CSI-ish type of series. I actually thought this was gonna be all about romance and stuff but then, when I saw the first episode, I was surprised because it is actually some sort of police series. The 2 most awaited new TV shows of the year will start tomorrow! 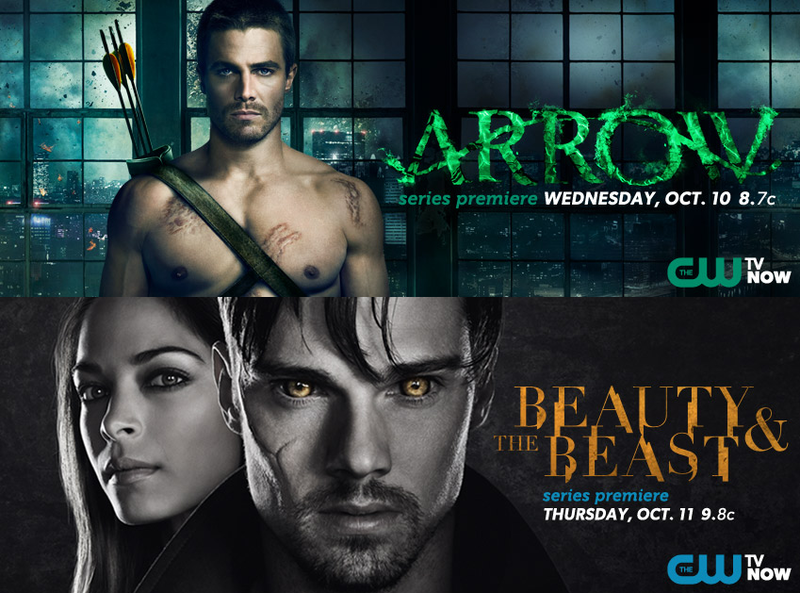 I am a big fan of fantasy-themed shows so di ako papahuli when The CW presented these. When I saw “Arrow”, I knew it would be a superhero thing and I kinda doubted na magtatagl siya pero when I saw the trailer of the show, I got excited lalo na it’s a Batman (Nolan series) kind of thing. Hahaha. Sana talaga it’s worth the hype! As for Beauty and the Beast, well, aside from Kristin Kruek, it looks good. After all, I think it has the same Disney story (or at least that’s what I think!). Hahaha. Hoping both shows will be good talaga.